Democrats believed Donald Trump was about to cave. They figured if they could hold out long enough, President Trump would abandon his signature promise to build a wall along the Southern border. But then Mike Pence went on Fox News to answer this challenge and said four words that left Tucker Carlson speechless. Carlson interviewed Pence on the day the Democrats officially took over the House of Representatives. Earlier that day, a new Speaker of the House Nancy Pelosi dismissed Trump’s demand that Democrats end their government shutdown and agree to fund the border wall. Pelosi sneered that she would provide exactly one dollar for the wall. “A dollar? A dollar? Yeah, one dollar,” Pelosi snickered when a reporter asked if there was a chance Democrats would give even one dollar in wall-funding. The new Speaker of the House ranted that Democrats would never fund Trump’s border wall under any circumstances. “We’re not doing a wall. Does anybody have any doubt about that? We are not doing a wall. So that’s that,” Pelosi continued. The Trump administration, however, was not about to let Pelosi own the day’s news cycle. President Trump made a surprise appearance in the White House press briefing room to press the case for why America needs a border wall. Trump was also joined by President of National Border Patrol Council, Brandon Judd. Judd explained why a border wall was a necessary component of border security. And Vice President Mike Pence capped off the administration’s full court press with an interview on Tucker Carlson’s Fox News program. Carlson pressed Pence on the administration’s commitment to getting the Democrats to include funding for the wall in any government funding bill. 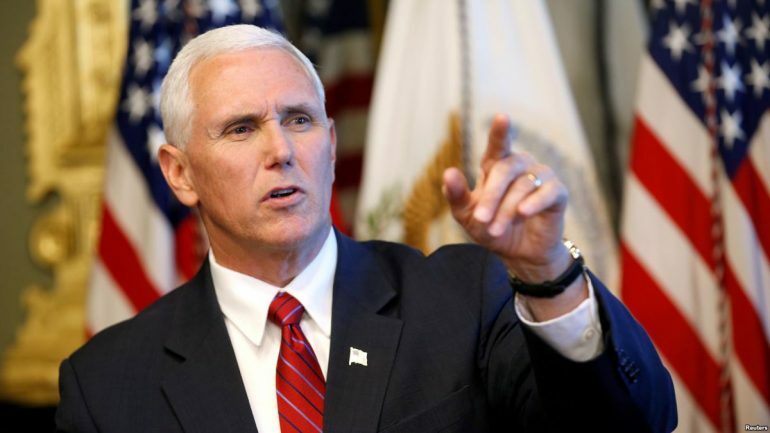 Pence flatly stated that wall-funding was a necessity for President Trump to sign any bill before reopening the government. “The President has made it clear: No wall, no deal,” the Vice President declared. And with public remarks made by the leaders of both parties, the battle lines were drawn. Pundits expect this shutdown to last for weeks. Neither side’s base will tolerate defeat. Republican voters always expect the establishment to fold in the face of the fake news media and Democrats blaming them for a government shutdown. But in this case, President Trump knows his re-election is on the line. If he folds without getting any new wall money, he runs the risk of meeting George H.W. Bush’s fate. During his 1988 campaign, Bush pledged to never raise taxes in his infamous “read my lips” speech. However, in 1990, he agreed to a tax hike and broke his promise. That led to Republican voters abandoning him in 1992 for independent candidate Ross Perot— which resulted in Bill Clinton squeaking into the White House with just 43 percent of the vote.